Gingko Biloba has a long history of being used in traditional medicine to improve memory and to treat blood disorders. It works by improving blood circulation. 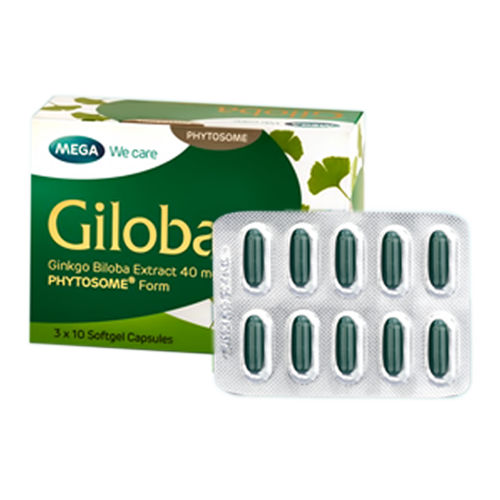 Giloba is a supplement of Ginko biloba extract enhanced with unique Phytosome technology to ensure better absorption and compliance. 1 capsule one to three times daily.